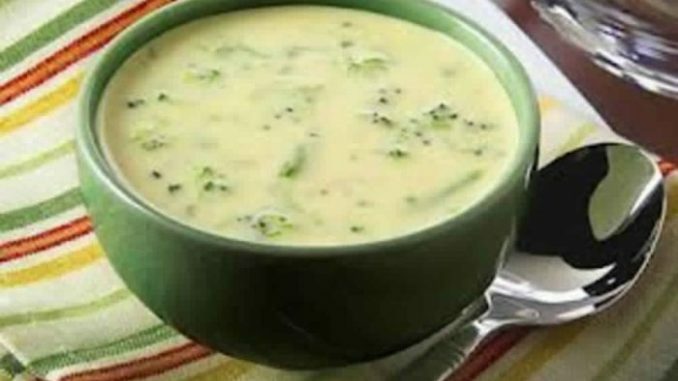 This Weight Loss Creamy Cauliflower and Broccoli Soup recipe is perfect for those days when you want something light, yet still satiating. Cauliflower and broccoli are awesome veggies that you can eat without guilt, because they contain lots of fiber that fills you up without adding extra calories. The almond milk in this recipe gives a creamy texture and also cuts down on calories that would have been taken up by heavy cream or whole milk. A serving of this creamy, hearty soup contains only 124 calories and 5 grams of fat! That’s a win in our book. 1. Core and chop the cauliflower and broccoli. 2. Bring a large pot of water to a boil and cook the cauliflower and broccoli for 8-10 minutes, or until fork-tender. Drain and set aside. 3. While the cauliflower and broccoli are cooking, heat a small skillet over medium-low heat. Add the oil, garlic and shallot and cook for 4-6 minutes, or until the shallots are soft. 4. Using either a high-powered blender, or an immersion blender in a large stockpot, blend together the cooked cauliflower, broccoli, shallot mixture, milk and cheese. 5. Blend on high until smooth, and season with salt and black pepper.